The Vacation Rentals listed below are represented by Professional Property Management Companies who know the Anaheim - Disneyland Area area and have access to several properties. Our April 2019 property listings offer a selection of 5 vacation rentals near Anaheim - Disneyland Area. Find a unique house rental for you to enjoy a memorable stay with your family and friends. The best places to stay near Anaheim - Disneyland Area for a holiday or a weekend are on Find Rentals. Where are the best places to stay in Anaheim - Disneyland Area? For nearby neighborhoods, please use our search to access the selection of vacation rentals available in and around Anaheim - Disneyland Area. What are some fun things to do in Anaheim - Disneyland Area? There are many other points of interest around Anaheim - Disneyland Area listed on Find Rentals where you can find a great place to stay. Try out the search to find a large selection of vacation rentals available near the city or region you're traveling to. 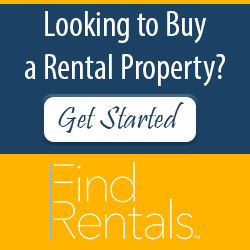 Which vacation rental managers have properties for rent in Anaheim - Disneyland Area California? Can I rent fishing rentals in Anaheim - Disneyland Area? How can I find a vacation rental manager in Anaheim - Disneyland Area? We found 1 Vacation Rental Managers in Anaheim - Disneyland Area.